Davie Florida is one of the largest towns in the United States. It has managed to maintain a rural style amidst its surrounding urban development, retaining the atmosphere of a western frontier town. Horses and ranches are a common sight in Davie. The West Davie area, is home to some 3,000 Jews, but lacks a semblance of community. The potential for a thriving community exists, and there is opportunity for a bright future for the Jews of Davie. Since founding Chabad of West Davie in 2014 Rabbi Mendel and Mushky Spalter, along with their children Schneur Zalman, Aizik, Shmuel and Levi, have been working hard to bring people together to help each other and to learn from one another, lighting the torch of Jewish tradition under the palm trees of West Davie Florida. 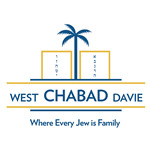 Chabad of West Davie is committed to serve Jews of all background from all over the region. 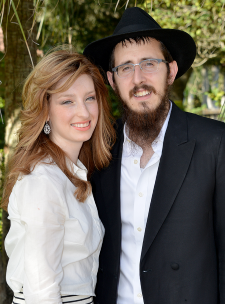 Rabbi Mendel and Mushky Spalter hail from the Crown Heights neighborhood of Brooklyn. 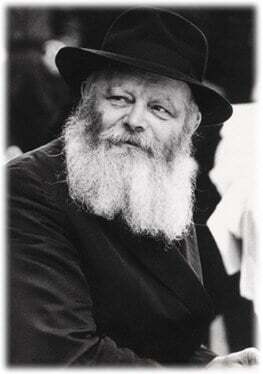 Mendel studied at Chabad Yeshiva’s in Toronto, New York and Paris. He received his rabbinic ordination from the Central Chabad Yeshiva in 2011, and has spent two years in intensive Kollel study. He has also been teaching Jewish Mysticism and Talmud at the United Lubavitch Yeshiva in Brooklyn. Mushky studied in teacher's seminary in Brooklyn and Tzfat. More recently, she has been teaching preschool and elementary school. They have both traveled extensively around the globe visiting and aiding far-flung Jewish communities. Our center is part of the worldwide Chabad Lubavitch movement, which is headed by the Lubavitcher Rebbe, Rabbi Menachem Mendel Schneerson. Motivated by his profound love for every Jew and spurred by his boundless optimism and self-sacrifice, the Rebbe set into motion a wide array of programs, services and institutions to serve every Jew. It is in his merit that today 4,000 full-time emissary families oversee activity in more than 2,700 institutions dedicated to the welfare of the Jewish people worldwide.